A "blush gold" version of iPhone X —once rumored to ship last year —is not only still alive, but entering production, according to a prominent leak source. 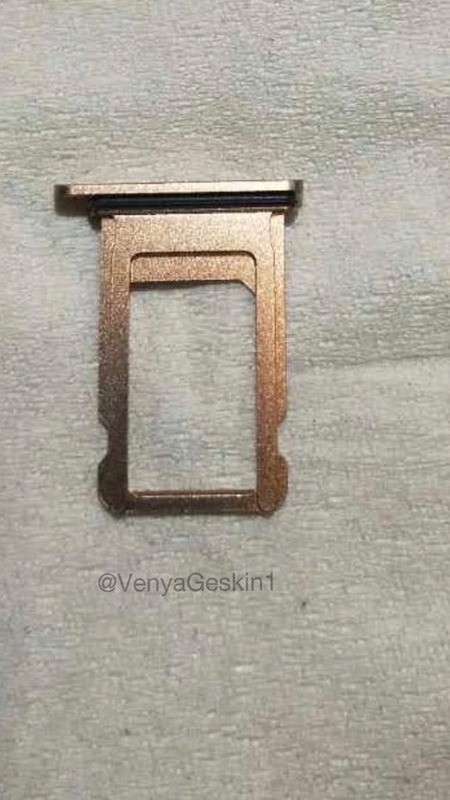 Photos shared by Ben Geskin on Twitter depict both the rear and sides of the device, as well as a matching SIM tray. The images are similar to those seen in photos and renders from 2017, before the iPhone X's September reveal. Geskin commented that the "color is real," suggesting that Apple appears to have "saved it for later." He allowed the possibility that it might still be scrapped. The "blush gold" and blue colors rumored in 2017 were ultimately chased down to bogus case manufacturers, or off-brand Android cloners. At the moment the iPhone X is sold in just two colors, silver and space gray. The iPhone 8 is available in gold as well, while the iPhone 7 comes in five colors. 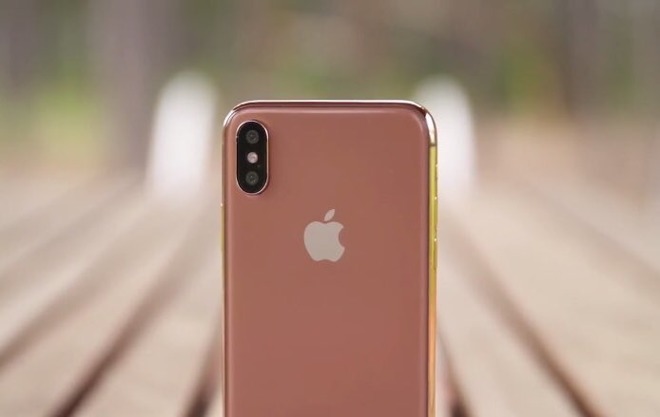 Apple was theorized to ship a "blush gold" iPhone X last year, but purportedly decided against it in light of production problems. Though the iPhone X was announced in September, it only shipped in November, likely as a result of the difficulty of manufacturing the phone's 3D-sensing TrueDepth camera. Last March the company used (Product)Red models to pump up iPhone 7 sales —historically, iPhone figures slump in the aftermath of the holidays. In theory, Apple could debut a "blush gold" iPhone X in tandem with its March 27 press event, even though the gathering is supposed to be education-themed.